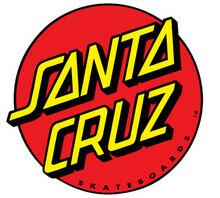 Santa Cruz Boardroom is THE place for skate gear in Santa Cruz. Featuring over 1,000 skateboards, with countless surfing and skating brands, you are sure to find what you need at the Santa Cruz Boardroom. 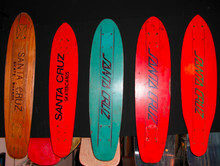 We are a Skate shop through and through, as this is the original home of Santa Cruz Skateboards. We feature wheels, decks, trucks, shoes, clothing, sunglasses, swimsuits and board shorts. Anything you could possibly need for some fun in Santa Cruz. We also sonsor The Boardroom Skate Team, making sure to always give back to local athletes.